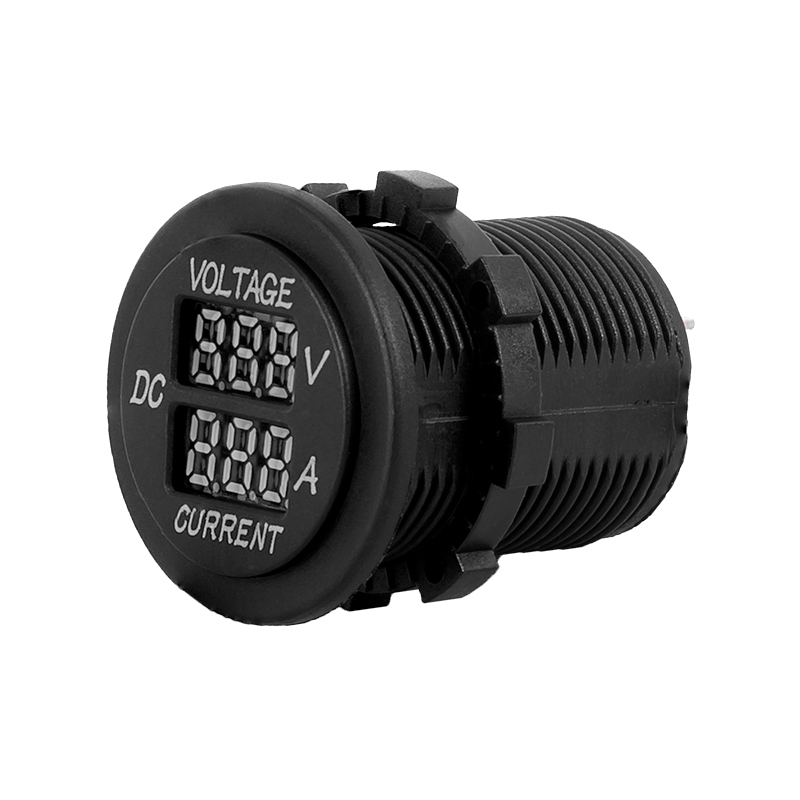 This digital voltmeter/ammeter is designed to show vehicle battery voltage (5-24V range) and amperage of connected lights. 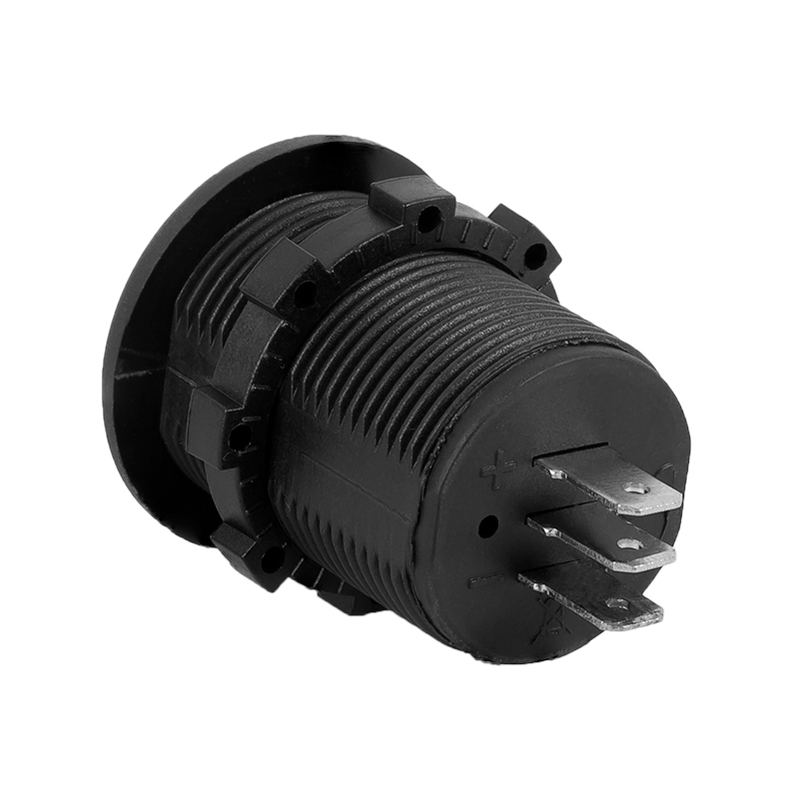 It fits in round rocker switch panel openings and has (3) 1/4" male contact terminals to be used with 1/4" female push-on connectors. 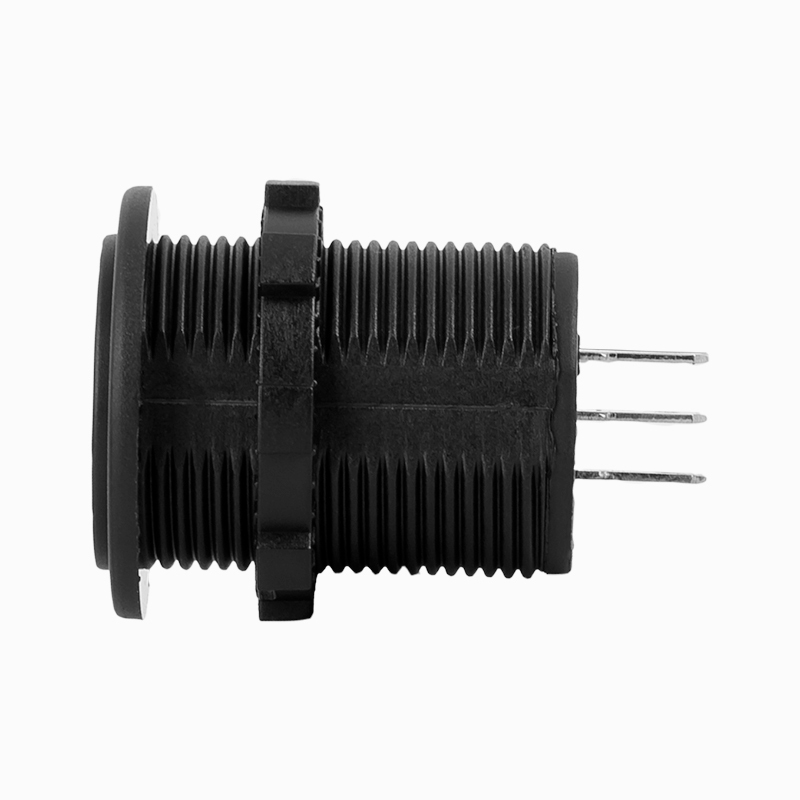 This device is packaged without any wiring diagrams, nor schematics. 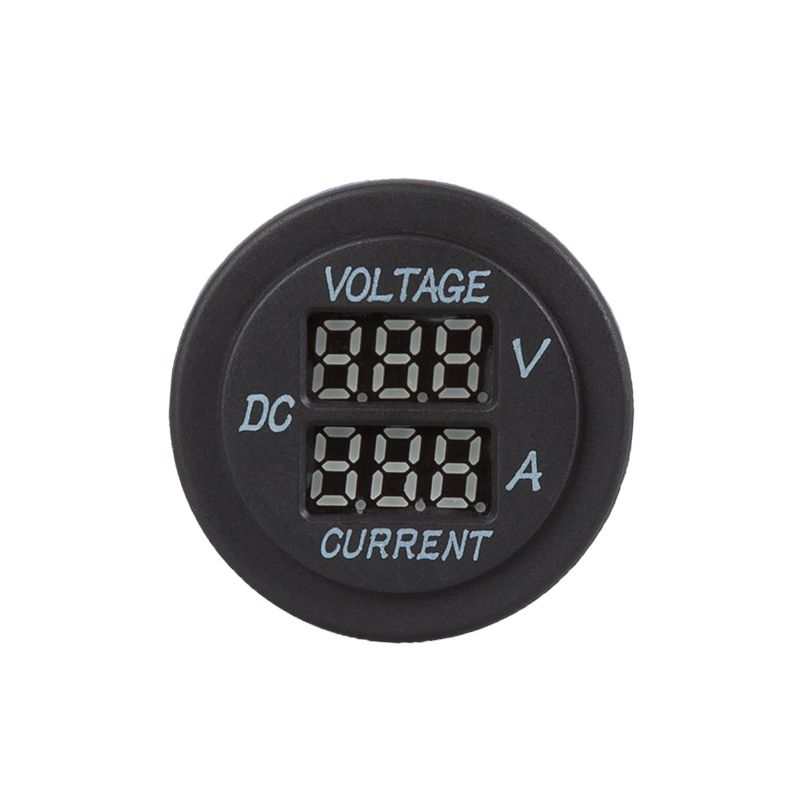 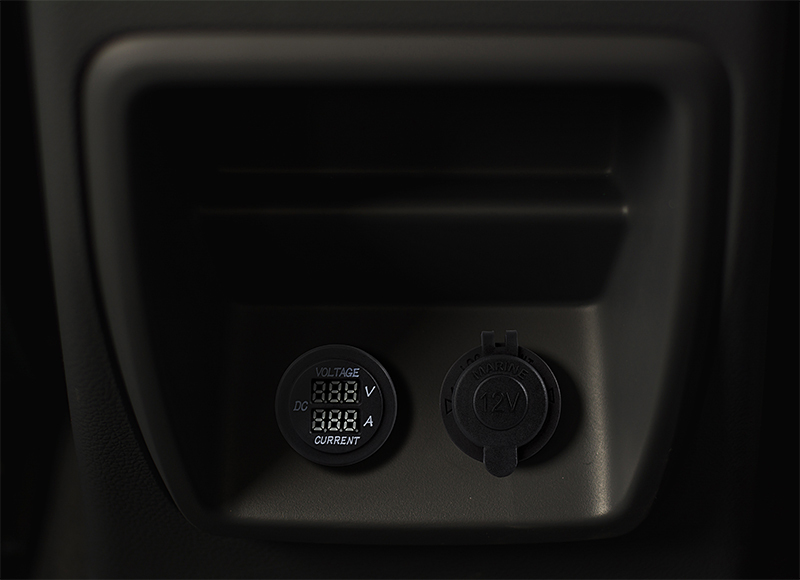 The voltage range is stated in the product description, but nothing about the amperage range, nor how to wire it into the dash.